I created this page to update present and future columnists/authors…and to update some changes and keep you updated on developments. 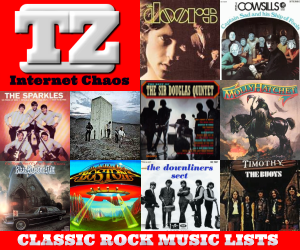 This page will be updated when needed. So check back fairly regularly to see if anything’s changed. Thanks! May 23rd, 2012: We are looking for a total of 15 regular contributors who can post a minimum of only 2 posts a month. The columnist slider spots will eventually be reserved for those who can contribute 2 posts a month. We’re not looking to be the New York Times, we want to keep this a very small intimate group. I’ll be on the search for new columnists soon, until we have the 15 regular contributors we’d like to have. May 22nd, 2012: Added a Private Messaging System…if you have any questions you can contact myself or Butterose through PM. May 6th. 2012: The inner-page slider is now set using ‘ tags ‘…to use the inner page slider when uploading multiple images in posts remember to add the tag ‘ innerpageslider ‘. May 5th, 2012: Hiya! 😀 I made this up to make it easier to work with the new TAZ. A little tutorial of sorts. 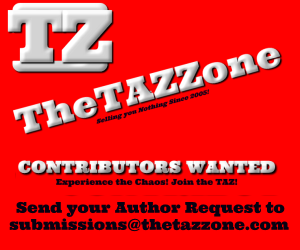 Sending it out to all the TAZ authors/contributors. 1. go to gravatar.com and set up a gravatar ( avatar image ). You need to use the same e-mail address you have on TAZ. This will set your avatar. 1. If you want to have ‘ multiple images ‘ in a post, Do Not insert images…just save them. The theme will pull them and create a slider for your images. If you insert them in the post you will end up with both, a slider and the inserted images. 1. The big slider is the ‘ Feature News ‘ category…please do not use this category unless you have an image large enough to display properly. 3. The ‘ The Columnists Gripe n’ Rant Corner ‘ is the Rant category. Please do not choose more than one of these for each post. Or you’ll have too many occupying the front page. For instance if you post a rant…it will already appear under your name section ( columnists ), in recent topics ( top right ), and in The Columnists Gripe n’ Rant Corner. So your post will already be displayed 3 times on the homepage. So aside from your own named columnist section…pick one other main category ( Feature news, Latest News with Videos, or Rant ). If you’d like me to set you up a media or magazine page ie. I need at least 9 posts to do it or it won’t display properly. If you have any questions feel free to ask away !